There is no doubt that medical advancements in IVF through science and technology have made it possible for women to get pregnant and deliver a healthy baby, and for men to enhance the health of their sperm. But in this very modern time of medical technology there is still a place for Eastern medicine and treatment options. Ordinarily, sexually active and non-contraceptive using couples have approximately a 75% of conceiving within six months to a year. All too often the term “infertile” is used to describe the couples who cannot conceive after one year, but a more accurate term is “subfertility”. Infertile means a complete inability to get pregnant. Causes of subfertility are about 40% for either spouse, while 20% of couples both have problems. It is recommend that the male partner be tested first because the tests are less invasive and final prognosis less complicated. The increase in the numbers of those who are treated for subfertility can be attributed to various factors ranging from female reproductive organ related issues such as ovarian hypofunction, ovulation failure or damage to oviducts among others, as well as male reproductive organ related issues. The issues related to the late age of couples attempting pregnancy puts the expectant mothers in a more high-risk group. On the male-side, environmental factors and stress causes lower sperm counts with lower motility than in the past. Studies have shown that women in high-risk groups are more likely to experience miscarriages. Recent studies have also shown that stress and other environmental factors have a big impact on health and the ability to conceive. And men and women are discovering that practices from Eastern medicine are offering an answer. 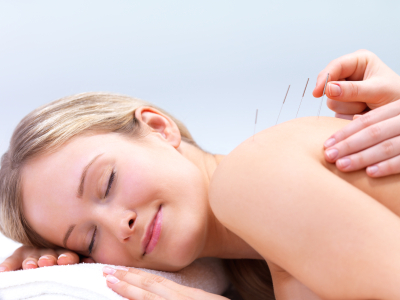 Eastern medicine and treatment options for subfertility include acupuncture, moxibustion and hanyak that can be safely applied to both male and female spouses. 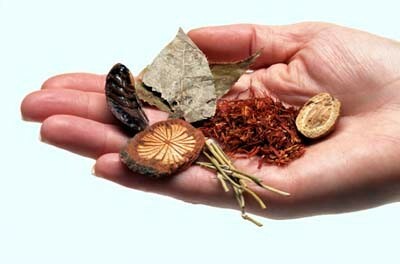 Hanyak is an herbal treatment. The treatments have been shown to assist in natural conception and also help to increase the success rate for IVF treatments. Clinical studies have shown that with hanyak treatments, subfertility female patients can better regulate hormones and improve ovulatory function. Another recent study has shown that during IVF, patients treated with hanyak have healthier eggs and embryos. What that means is that hanyak can lead to better implantation during IVF treatments and have a higher success rate for pregnancy while preventing early stage miscarriages. Yet another study showed that acupuncture and moxibustion treatments during IVF had led to increased number of eggs harvested. Most male patients seeking Eastern treatment options are those who have been told that they have a low sperm count, or sperm with lower motility or abnormal morphology. Although there needs to be more studies regarding male subfertility issues, a few studies have shown that in the case of idiopathic infertility with no specific causes, acupuncture treatment can produce improvement in concentration, motility and morphology of the sperm. Considering the time required to generate sperm, treating a man for subfertility generally requires two to three months. In the past, many mistakenly believed that subfertility was mostly an issue of the female spouse, but the fact is that men and women are almost equally responsible. Generally, women who are over 35 years of age are considered to be late-age pregnancy seekers and in the same vein, men over the age of 40 are likely to have lower sperm counts with reduced health. As tests to determine the cause of subfertility are often very invasive for the women while for the men it is less so, and the final prognosis less complicated, it is recommended that the male partner be tested first. For those couples attempting IVF, Eastern medicine and treatment options can certainly increase the odds of success, and bring better balance into your overall health.